Skimmer Baskets sit inside of the swimming pool skimmer. It collects pieces of debris, bugs, toys and other unwanted materials from the water. This keeps water cleaner and clearer, and it serves as a first line of defenses. That way, larger items don't reach the pool pump or pool filter at all. Skimmer Baskets may break over time for various reasons. Keep a few Replacement Skimmer Baskets on hand at all times. 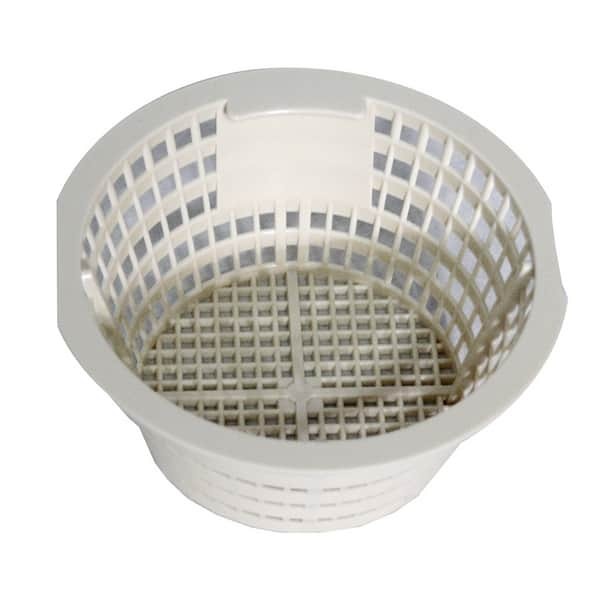 Match the pool skimmer basket with the skimmer for a perfect fit!